Flowers that last up to twice as long? Arrangements that stay completely intact? The ability to easily care for their arrangements? Trying to find an easier way to create arrangements? 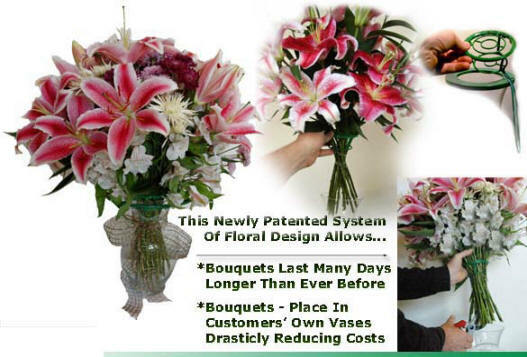 Tired of having throw away vases taking up storage space? Looking to save time, money and labor costs in your design process? Trying to find a better and easier way to keep your designer bouquets intact? Looking for that edge to be the first offer your clients an amazing new product? industry . . . this long awaited device is finally available.